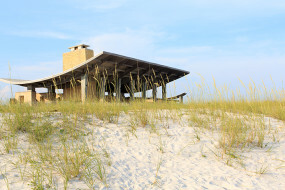 The Alabama Gulf Coast is warmed by sunshine, history, culture and unspoiled natural beauty. You’ll find 32 miles of sugar-white sand beaches made almost entirely of fine, quartz grains washed down from the Appalachian Mountains thousands of years ago. Once you visit the Gulf Coast area of Baldwin County, you quickly realize these are some of the finest beaches in the world, and one of America’s hidden gem locations. You’ll yearn to return year after year to feel the sand between your toes, splash around in the turquoise water, smell the salty air and admire the jaw-dropping sunsets of Gulf Shores and Orange Beach, Alabama. 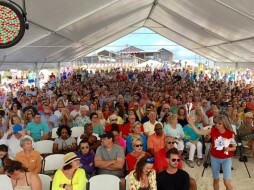 Gulf Shores and Orange Beach have spectacular accommodations and rentals, award-winning restaurants, and amazing events. Our paradise is brimming with Southern hospitality, featuring one-of-a-kind attractions like championship golf, nature trails, water sports, and amusement parks (like the well known Waterville USA). Gulf Shores and Orange Beach gives you plenty to do for your next beach family vacation or romantic weekend getaway along the Gulf area. Whether you’re in the mood for fun and adventure or lazy days on the beach, you can do it all in Gulf Shores and Orange Beach. Stroll hand-in-hand along the sugar-white sand as you reconnect with your partner or hear your children gasp with wonder when they spot frolicking dolphins on a dolphin cruise. If you’re craving an adventure location experience, cast your line into one of the country’s largest artificial fishing reefs during a deep-sea fishing trip. Discover history and travel back in time when cannons protected the waterways, and explore the nearly 200-year-old Fort Morgan. Ready to get away for the ideal beach vacation? Bring your family to explore the waterways, relax on the beach, eat your fill of fresh seafood, or practice your golf swing at one of our beautiful courses nearby. It’s all waiting to be discovered. Plan your vacation and make unforgettable memories on Alabama’s Gulf Coast today.